Your wedding is yours ­­– and no tradition or etiquette rule can say otherwise. As a bride, you have the right to have a wedding that suits you, your wedding style, who you are and what are the things you love – so you also have the right to set your own rules when it comes to the Big Day too. Even so, inspiring yourself from worldwide wedding traditions is a wonderful way of bringing a touch of uniqueness to your Big Day and of making it feel more special and more multicultural too. What are some of the most beautiful wedding customs you might want to incorporate into your own Special Day? Read on and find out more. · China. A traditional Chinese bride will be dressed in a red silk gown embellished with intricate golden embroidery. However, she will usually change at least once throughout the wedding day (which shows her family’s level of opulence). If you cannot decide on one dress only, borrowing this tradition is a truly great idea. · Italy. Italian brides and grooms are supposed to walk together to their wedding ceremony – so if you plan on saying “I Do” in the “neighborhood”, this is a very romantic idea (and it will surely make for some unforgettable wedding photos too). · Morocco. 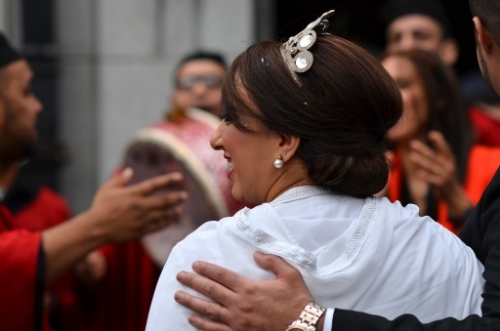 Moroccan brides are pampered in a carefully-planned purifying ritual before the ceremony. Most of the times, this ritual includes massages and milk baths – so it can be extremely relaxing for a stressed out bride. Bring this tradition into your wedding day and make yourself feel less anxious and more naturally beautiful! Blue Water Weddings plans unforgettable events everyone loves – so if you need help with planning your Big Day, contact us and let’s talk about your dream wedding! With our skills and experience, we will make your dreams come true! Your wedding music should represent who you are as a couple!